Circus means childhood. 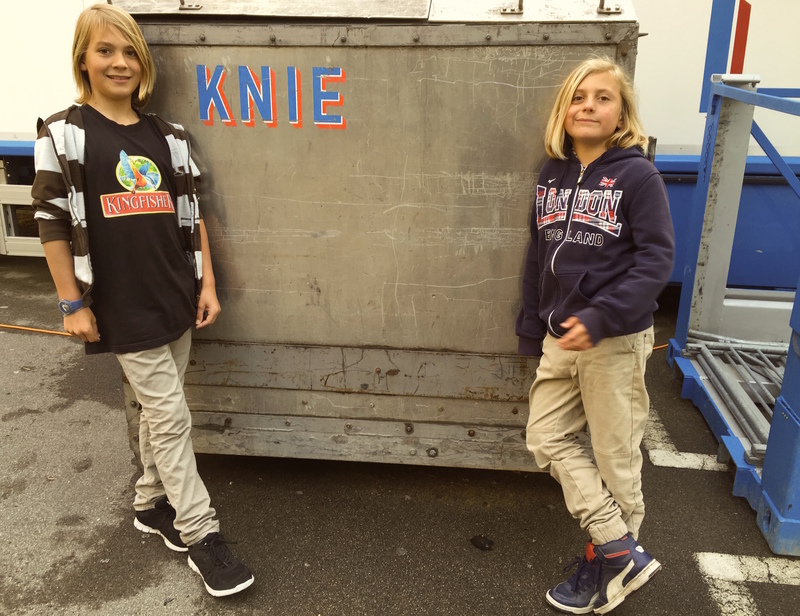 And I wanted to go back to KNIE, our big, almost 100 year old Swiss Circus – the first time with my two boys. I was seven when my German grandfather wanted to go with me to KNIE. As I had already been with my mom two days ago, I knew the solution of the games they played with children before starting the show. So, I stood in the big arena, with the smell of the sawdust and wild animals, and answered the question of the quiz by my shy, small voice and won a red piggy bank with five Swiss francs in it. My grandfather was so proud of me. He fed my pig right away with another five francs, and back home, we had to convince my mom of the story. She didn’t want her daughter being so clever. Today, I am so proud of my two clever boys, and we three enjoyed the circus show very much.